Northern Shipping & Stevedoring Pty. Ltd.
Northern Shipping and Stevedoring was formed in 1971 and has its headquarters in Townsville. The company services the ports of Townsville, Cairns, and Mackay. NSS Operates and manages the largest container terminal at the Port of Townsville handling the majority of the container traffic through the Port. NSS operates berths 2 and 3 in the Port of Townsville and operates on berths 4, 8, and 9 as common user facilities. Berth 2 is dedicated to the importation of Nickel ore while Berth 3 is the longest and deepest general, bulk and container berth at the Port. The main customers for NSS include Queensland Nickel, Xstrata, Sun Metals, Southern Cross Fertilisers, Incitec Pivot, Swire Shipping, Kyowa Shipping, K Line, Australian Marshalling Services, and PAS. In excess of 80 vessels a year are handled at the Berth 2 facility. This equates to approximately 200 days a year where there is a vessel alongside the wharf. Lead bullion in the form of 4 tonne slabs, are received from road and rail transport on a daily basis and loaded onto the vessel by NSS. Copper cathode bundles and zinc metal are also received by road transport on a daily basis. They are exported in two forms either break bulk or containerised depending on customer requirements. 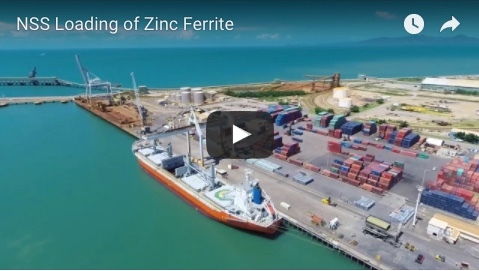 Over 150,000 tonnes of zinc concentrate is imported through the Port of Townsville. The concentrate is sourced from domestic and overseas mines. It is discharged by NSS employees from vessels using a portainer crane and electro-hydraulic grab, dumped into a mobile shore-based hopper, and loaded to rail transport for removal to the refinery. 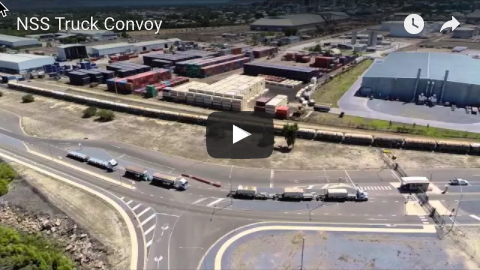 NSS provides a purpose built 55 tonne container crane handling and storage facility which is unmatched anywhere in Queensland outside the Port of Brisbane. Typical break-bulk cargo handled includes steel products, vehicles, logs, and earth moving equipment. NSS handles almost five million tonnes of product each financial year - both imports and exports combined.